moments. And in these intent-rich moments, they often turn to apps to get what they need. 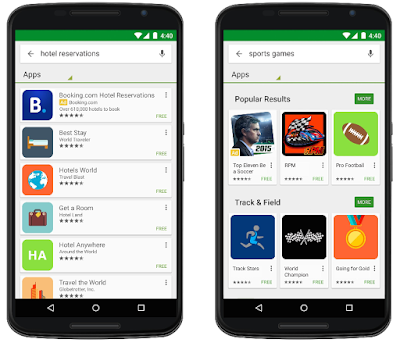 Runners may search for a “mileage tracker” app as they start training for a marathon, foodies may look for “restaurant” apps to check out the trendiest new places in town, and frequent fliers may search for “top games” to play before a long flight. 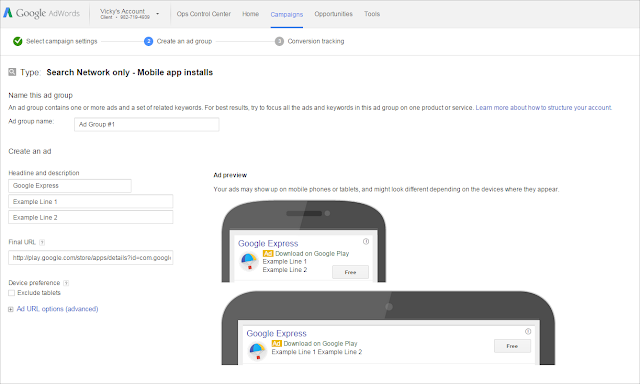 In fact, search is one of the biggest drivers of app installs in the Play Store. Search Ads on Google Play will begin to roll out today to all advertisers and developers who use Search app installcampaigns on AdWords.